Oorah Gaming, of ONeil Online, was founded in 1994 by Michael O'Neil in Seattle, Washington. ONeil Online is an independently owned and operated company that provides dependable hosting services to a diverse range of customers from around the world. Originally started as a computer hardware retailer and web designer, over the years oneilonline has steadily grown broadening its services to all aspects of computers, servers, and hosting services. ONeil Online owns and maintains a number of brands: Intrinsic Technologies, Watta Server, and Oorah Gaming. 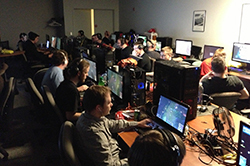 Majority of our staff are active gamers in the community. Yes, some of us may be a little biased, but don't blame us, we all have our favorite games we like to play! Because we are gamers we understand the need for a smooth running server that performs great. We also have a great knowledge base of staff who know how to install, config, and run mods, custom maps, and the coding involved on the backend. It is because of our knowledgeable staff why we are able to offer a complete full service and gaming experience that is uncomparable to other hosts. 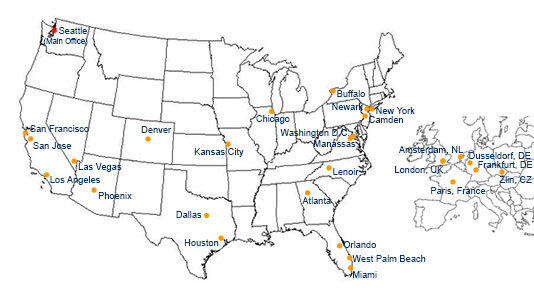 ONeilOnline maintains facilities located across the United States and Europe to ensure the best response times and latency times. Our fully redundant, load balanced, core network and backbone connectivity is unsurpassed in its efficiency and performance. This unique combination provides a superior network infrastructure with an unmatched quality of service. oneilonline's mission is to bring the technology of tomorrow to the end users of today, from cutting edge hardware and software, to hyper performance networks and servers, to 100% uptime, to 1ms low latency, we are here to satisfy all your needs. Need a game or clan sponsor?